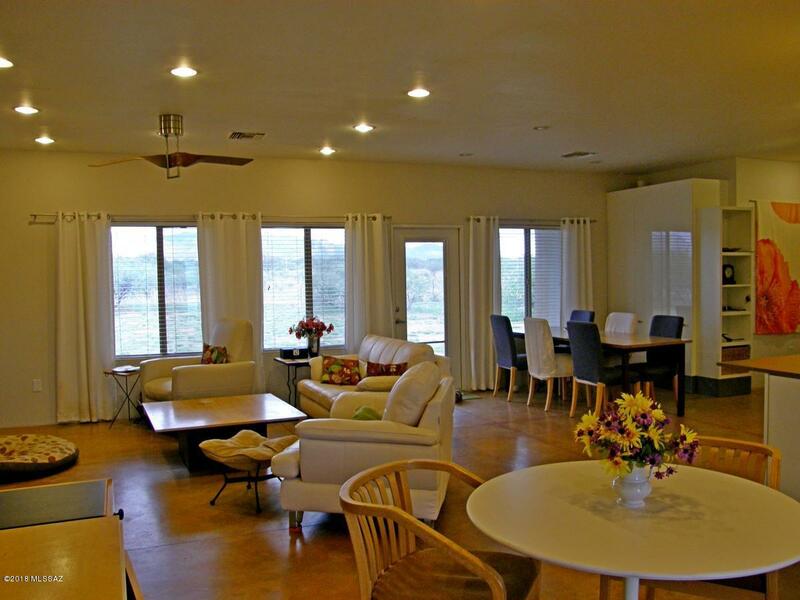 Beautifully designed home with an open floor plan situated on 36+ acres. Great room with fireplace, split bedrooms plus an office. 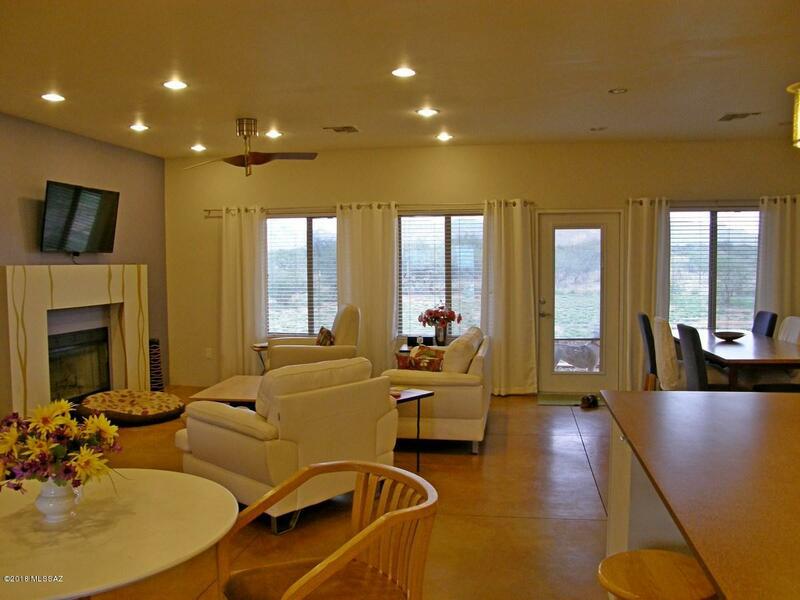 Large well designed kitchen with abundant storage & breakfast bar. A spacious master suite with large master bath with a walk in closet. Very energy efficient ICF construction, 9'' Mikey Block & Dual pane low E windows. Great horse set up with 5 12'x16'stalls with front & rear gate, 3 sided, covered, 24' x 16' hay shed with tall opening for easy hay delivery & a 12'x16'tack room. 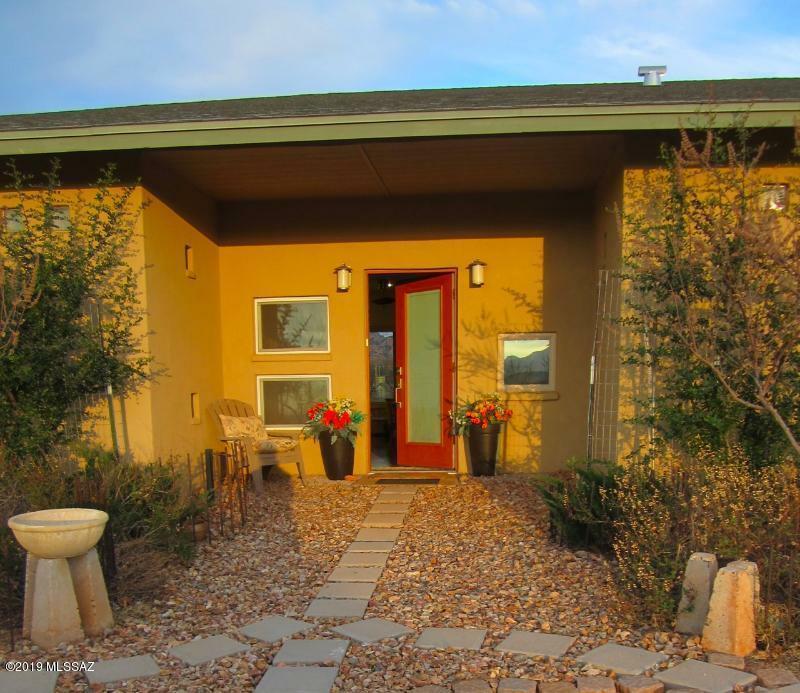 The fenced lot abutts a conservation greenbelt giving you lots of privacy. Spectacular mountain views in all directions. Lots of great places to ride with owners having ranch access to the nearby Coronado National Forest. Shopping, dining, golf & medical in Benson.